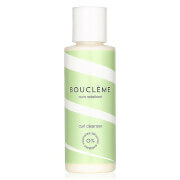 Ideal for fine hair and loose waves, the Bouclème Hydrating Hair Cleanser gently eliminates impurities to reveal soft, replenished locks from root to tip. Fortified with a nourishing blend of Coconut, Mongongo and Camellia Oils, the low-lathering formula nourishes and strengthens hair, whilst antioxidant Vitamins C and E defend against environmental aggressors. 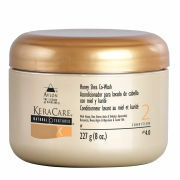 Expect restored, protected and deeply moisturised locks with enhanced shine. Aqua, Decyl Glucoside, Glycerin Vegetable, Cocos Nucifera (Virgin Coconut) Oil, Maris Sal, Cocamidopropyl Betaine, Schinziophyton Rautanenii (Mongongo) Kernel Oil, Camellia Oleifera (Camellia) Seed Oil, Hippophae Rhamnoides (Seabuckthorn) Seed Oil, *Litsea Cubeba (May Chang) Fruit Oil , *Citrus Grandis (Grapefruit) Peel Oil, *Citrus Reticulata (Mandarin Red) Peel Oil, *Citrus Aurantium Dulcis (Sweet Orange) Peel Oil, *Citrus Aurantium Bergamia (Bergamot) Fruit Oil, *Origanum Majorana (Marjoram Sweet) Leaf Oil, *Rosmarinus Officinalis (Rosemary) Leaf Oil, *Mentha Viridis (Spearmint) Leaf Oil, *Pogostemon Cablin (Patchouli) Leaf Oil, *Michelia Alba (Magnolia) Flower Oil, *Michelia Alba (Magnolia) Leaf Oil, *Cymbopogon Martini (Palmarosa) Oil, *Tilia Cordata (Linden) Flower Oil, Styrax Tonkinensis (Benzoin) Resin Extract, Ricinus Communis (Castor) Seed Oil, Sodium Chloride, Guar Hydroxypropyltrimonium Chloride, Xanthan Gum, Benzyl Alcohol, Dehydroacetic Acid, Sorbitan Sesquicaprylate, **Limonene, **Linalool, **Geraniol. *natural pure essential oil **potential allergens.